FrightFest has been tracking the creative development of CHUCK STEEL ever since it began life as a 2013 animated short and we have been delighted to follow director Michael Mort’s progress. So we’re absolutely thrilled the project is now finished and we can show you the complete movie in all its hilariously superlative glory. It’s not 1985 anymore… it’s 1986! 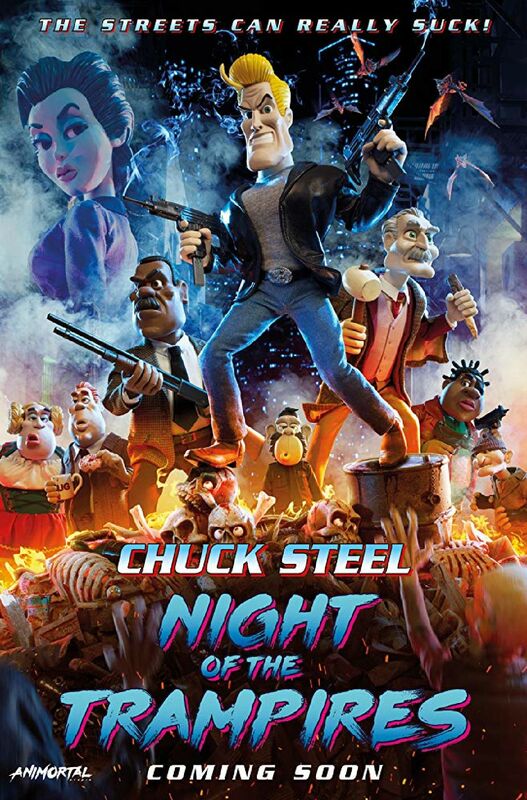 And Chuck Steel is the maverick, lone wolf cop on the edge, who doesn’t play by the rules and must prevent the worst plague ever to hit Los Angeles – a scourge of deadly Trampires, mutant hybrids of vampires and bums.